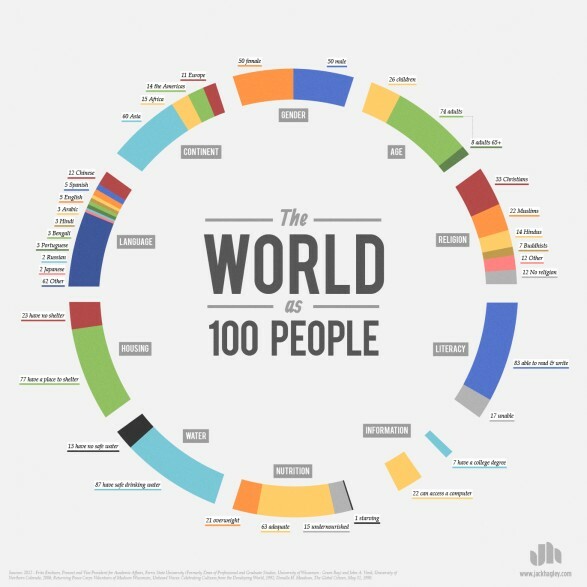 So, let’s say you agree that telling a social impact story is different from other kinds of pitches. How, then, do you decide the optimal channels you should use to develop and deliver your impact story?This incredible graphic posted by Qmee.com provides a helpful perspective of relevant channel, engagement, and can help you make a strategic decision on where your social enterprise can get the most value for the time, resources, and paid advertising you might spend. Major newspapers have been making the headlines of their own front pages this week—such as the sale of the Boston Globe to Red Sox owner John Henry—at 7% of the price of its last acquisition by the New York Times. And not to be outdone, this week also saw the sale of Washington Post to Amazon founder Jeff Bezos…at what some financial analysts are calling, significantly higher than the market price.Journalism as a field has been ripe for innovation. 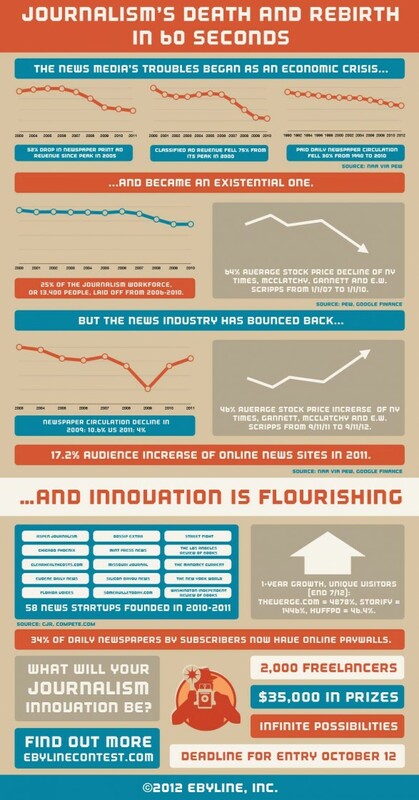 This infographic by EByline published in 2012 provides a visual context of the recent trends of the space as well as the innovation which is already well underway.How will the recent sales transform journalism—print, online, and beyond. In this time of imminent transformation is there an opportunity to consider the impact that the industry has on the environment and community. 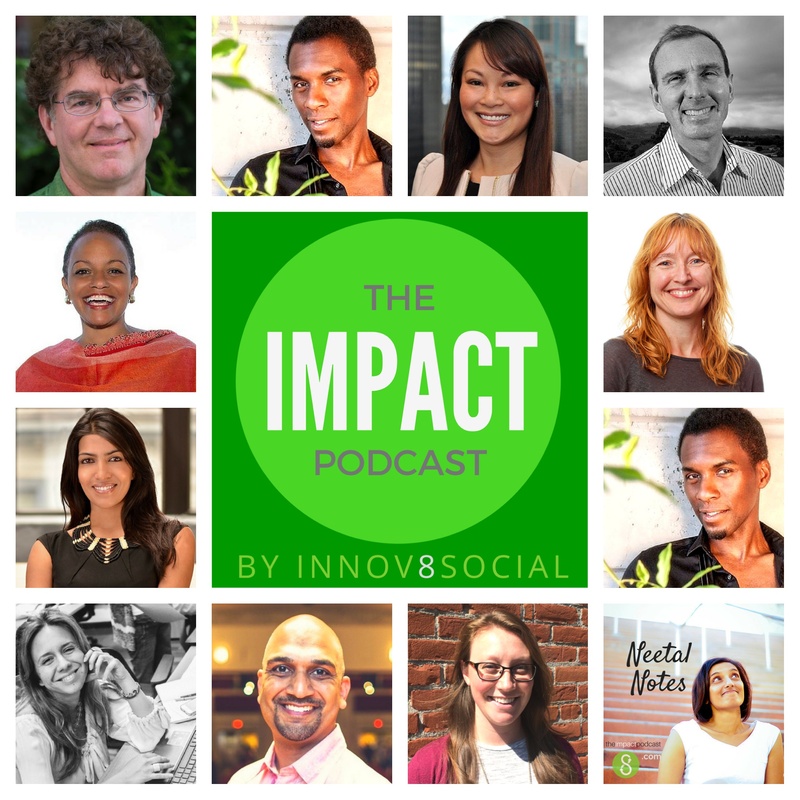 Social entrepreneurs, on your mark—get ready…. 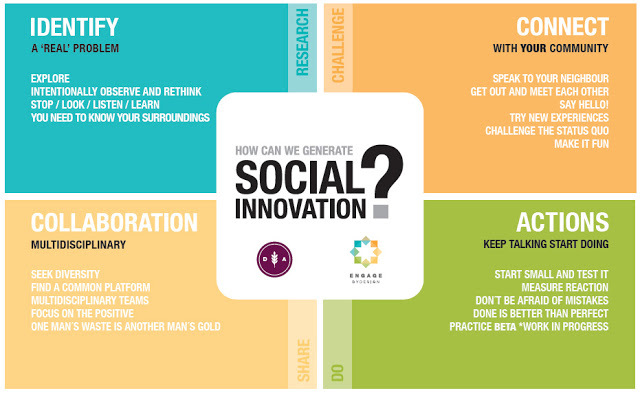 Infographic: How Can We Generate Social Innovation? 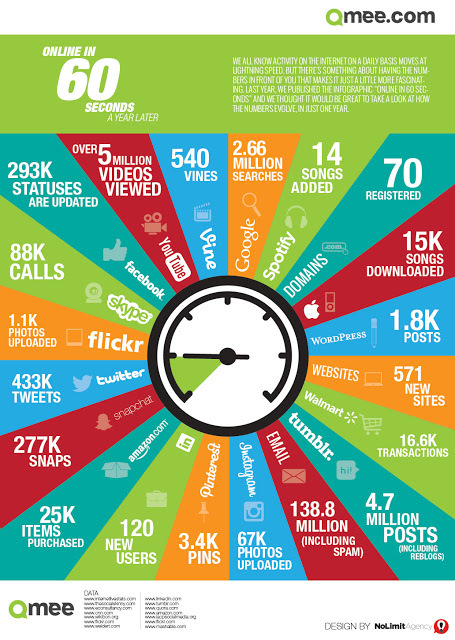 https://www.innov8social.com/wp-content/uploads/2013/07/socialinnovation.jpg 393 640 neetal https://www.innov8social.com/wp-content/uploads/2018/05/innov8social_logo_gray1.1.png neetal2013-07-28 19:31:002015-08-01 07:14:54Infographic: How Can We Generate Social Innovation? Ready to kick off your summer reading? Mike Essex of Koozai created this awesome guide to savvy, creative business books to make explain new ways of thinking, challenge existing paradigms, and put you in an entrepreneurial mindset. Enjoy! https://www.innov8social.com/wp-content/uploads/2013/07/Screen-Shot-2013-07-05-at-9.02.42-AM.png 132 320 neetal https://www.innov8social.com/wp-content/uploads/2018/05/innov8social_logo_gray1.1.png neetal2013-07-05 16:06:002015-07-02 12:47:14Infographic: Which Business Book Should You Read Next? Entities love to highlight innovative work cultures…but how does a company, organization, startup, or group actually incubate an innovative culture.This infographic highlights some of the core considerations in building an intrarpreneurship setting where innovators within a company and organization can not only find footholds, but can propel ideas through through bureaucracy and hierarchies, and into implemented realities.The visual was designed by Budco and published on Visual.ly. Building a Culture of Innovation infographic by Budco. Collaboration, when all is in synch, is magical. Synergy is abound, no goal is out of reach, and nothing is impossible. 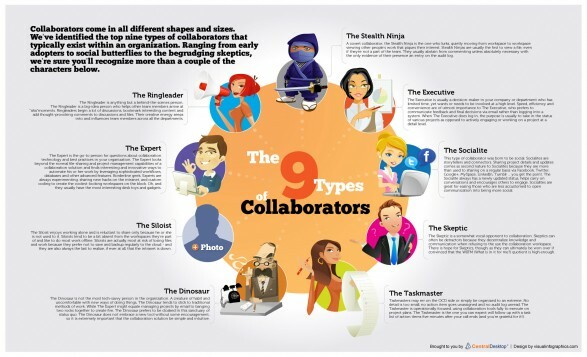 When that dynamic goes awry, however, the balance is upended and even getting through simple tasks can feel labor-intensive and tolling.This is a great infographic by the Central Desktop Blog and published on Visual.ly that gives a nice overview of types of collaborators you may meet. Take a look below, chances are you’ll identify with the apt categories—not only to identify yourself but the personalities you engage with on projects.Surprisingly, you might find that in different settings (home, work, fun) you wear a different collaborator hat. That seems like a healthy thing, right? In case you are curious to know where you fit in the mix, the good folks at Central Desktop Blog came up with this quiz to find out what type of collaborator you are. It is a fun, informal way of helping you to think about your collaboration style and strengths. 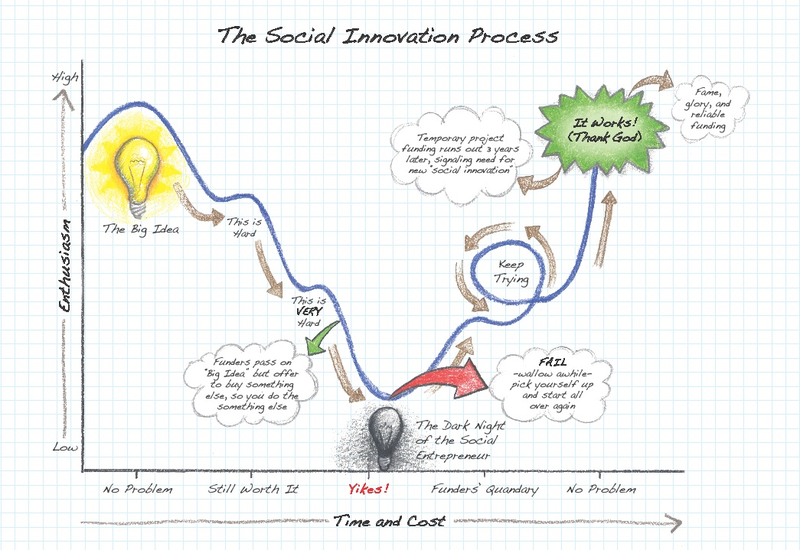 An apt depiction about the trial-and-error process of social innovation—from having the idea to testing, learning, failing, re-envisioning, until getting to a viable product. The challenge often is that we don’t know where in the graph we are.Are we bracing to withstand the “dark night” of social entrepreneurship or is that still ahead and we are only in the “it’s very hard” phase. Maybe we are in the ‘keep trying’ phase and just have to stay in the game a little longer.Perseverance (and a great idea) seem to make up the secret sauce here. 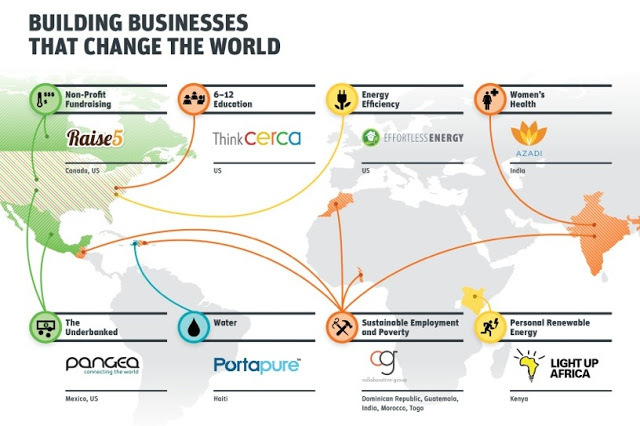 This infographic was originally published in the Nonprofit Quarterly and created by by David Brown, of Brown Performance Group, with Jon Pratt and Ruth McCambridge, and illustrated by Jim Atherton.